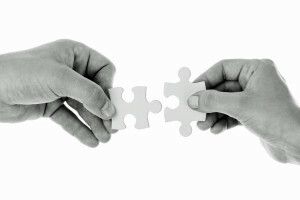 The Society for Participatory Medicine released a report of a national survey today finding that a significant majority of Americans seem to consider themselves engaged patients, with positive views of collaborative relationships with providers, self-tracking (and sharing personal health data with providers). 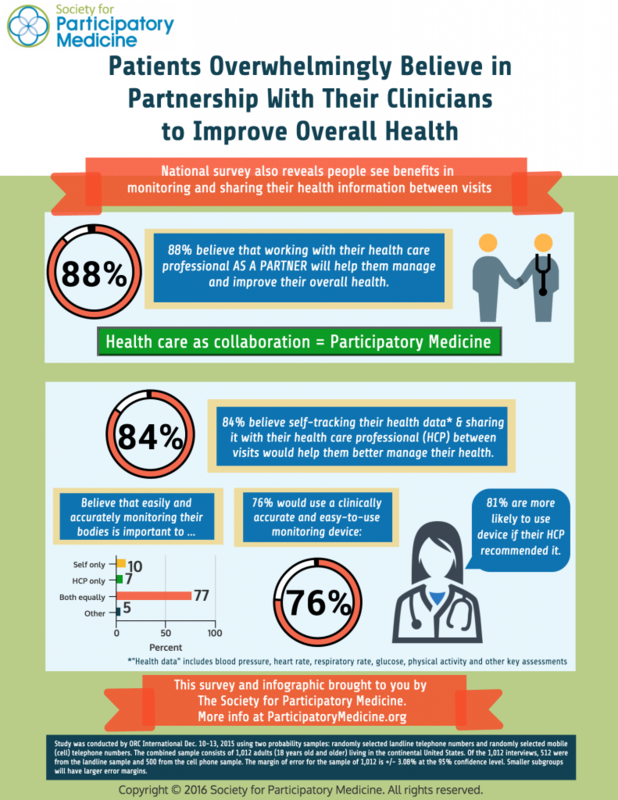 An astounding 88 percent of American adults believe that working with their health care professional as a partner will help them better manage their health, according to a survey released today by the Society for Participatory Medicine and conducted by ORC International. The survey also revealed that overall 84% felt that tracking their own health data between visits – such as blood pressure, heart rate, respiratory rate, glucose, physical activity and other key health metrics – with an easy-to-use device and sharing it with their health care professional would help them better manage their health, with 77% of respondents feeling it was equally important to both themselves and their health care professional. 76 percent of adults would use a clinically accurate and easy-to-use personal monitoring device and 57 percent of respondents would like to use it themselves and also share that information with their health care professional. 81 percent of adults would be more likely to use a personal monitoring device if their health care professional recommended it. I am encouraged that so many people want to be engaged in their health, but I would like to know whether the current study’s results are significantly different from similar surveys undertaken in the past. We tend to believe that the past was all about Marcus Welby and “doctor knows best.” Is that a gut feeling or is it borne out by data? Does data suggest that greater patient engagement yields better clinical outcomes? I know that the Open Notes project yielded positive results. My general sense (without doing a review of the literature) is that many other conclusions to date may be based on self-reported data on patient outcomes and are relatively small-scale. If clinicians are able to act in a way that allows patients to be more engaged in their care and in communications about their care (as this survey shows is desired) and if patients’ acting on these desires to be more engaged in one’s care can in fact improve outcomes and reduce costs — then we’re on to something.